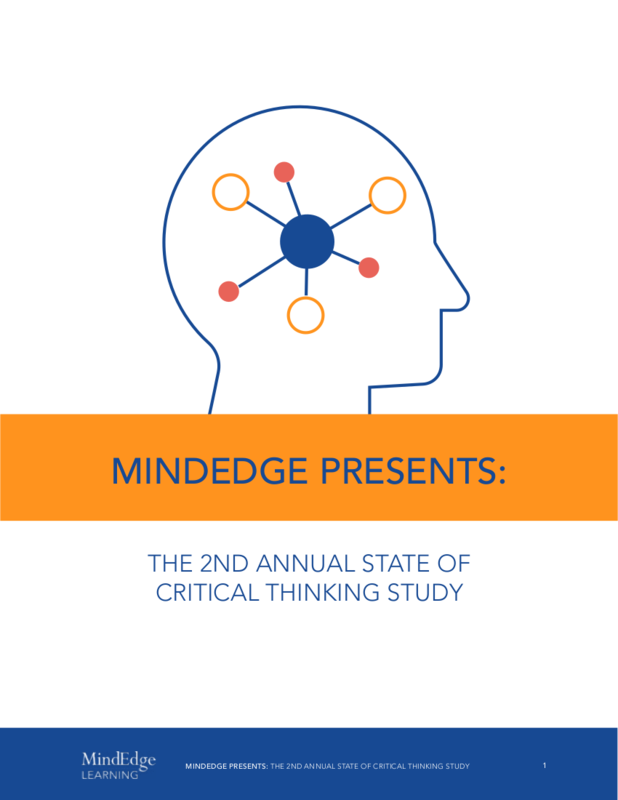 See the key results from MindEdge's second annual State of Critical Thinking study—an online national survey that probed the attitudes of 1002 young adults toward critical thinking, fake news, digital literacy, and the skills needed for success in today's workplace. Complete the form below to download the survey results from MindEdge Learning. Click to download "Second Annual State of Critical Thinking Study"